For nearly 40 years, WorldServe Ministries has equipped local churches around the world to be the hands and feet of Jesus in their communities. As a non-denominational, Christian ministry based in Canada, our work is as diverse as our partners, but we are all united with one purpose--to glorify God. We do this by partnering with, strengthening, and equipping local churches in China, Ethiopia, Cuba, and Myanmar. 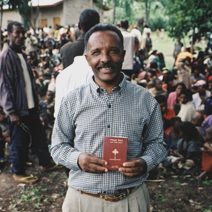 By supporting church planting pastors, offering Christian leadership training, and distributing Bibles--as well as providing practical helps, such as famine relief, micro business projects, caring for needy children, and community health initiatives, we are seeing communities change and the influence of the local church grow. The local church is making history in the countries where we work.